Faster, Lower-Cost Shelf Angle Installations. The FAST™ system can be used to support masonry veneer of all types. 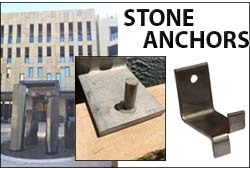 It can also be used to support granite panels and precast concrete. 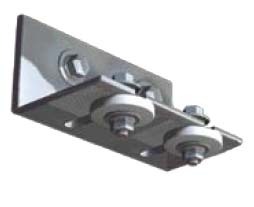 The system is ideal to accommodate construction tolerances because it can provide for adjustability in all directions and it is available in a wide range of sizes. FERO FAST™ System – Canadian Patent P46884CA00, United States Patents 9447585, 9316004, and other patents pending. 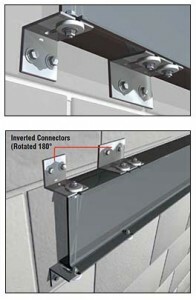 FERO has developed and patented a Break-Away Fire-Release Systems for connecting horizontal structural components, such as open web steel joists of floor and roof systems, to firewalls through the use of a fusible member, the connector allows for displacement, complete disengagement and collapse of the structural component from the wall during a fire before any significant damage could happen in the firewall itself, thereby satisfying the requirements of the National Building Code of Canada. 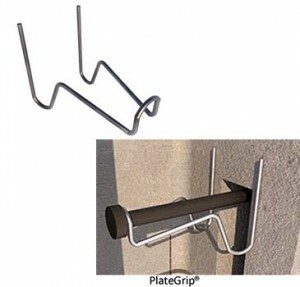 The PlateGrip® is a fast efficient way to hold a surface mounted embedded plate in place while grouting. PlateGrip® works on all common size CMU. Easily vibrate around the studs without blowout or plate displacement. It does not interfere with reinforcing. 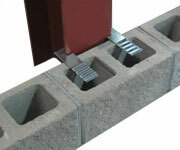 Ties masonry to steel columns. Welded. 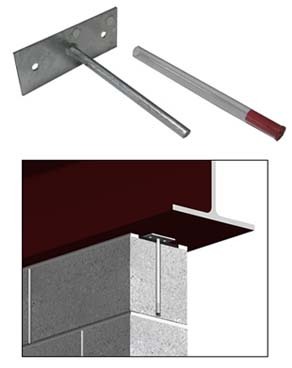 Ties masonry to steel columns. 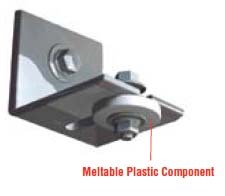 Mechanically fastened – Screw on or use Power Actuated Tool. 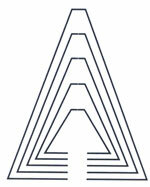 Embeddable triangular ties compatible with T-III anchors. Ties CMU to vertical steel columns. 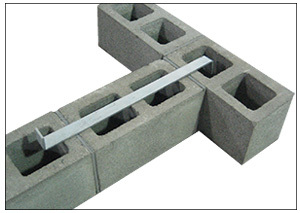 Provides lateral shear resistance at upper limit of walls. Permits vertical movement of slab above, without transferring compression loads to wall below. Plastic tube with expansion filler is placed over rod anchor to allow deflection. Joint is filled with mortar, fully surrounding the tube. 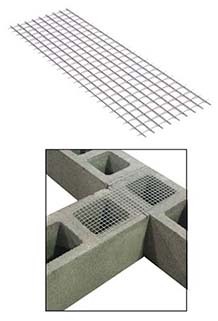 Ties masonry to masonry for structural (load bearing) & non-structural intersecting CMU walls. Only necessary, in the very rare case, where intersecting CMU walls develop flange action (shear transfer).